Apple has released an all new redesigned MacBook Pro. 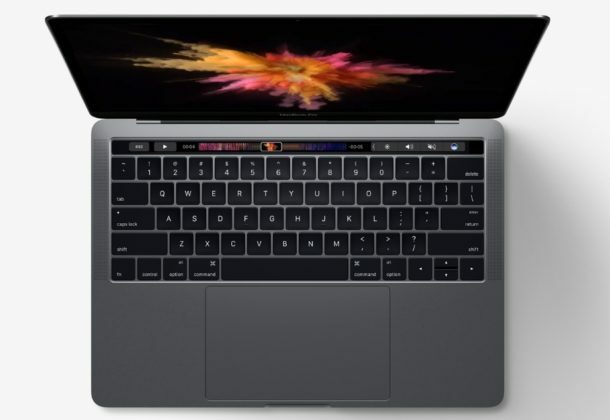 Available in 13″ and 15″ display sizes, the new MacBook Pro features upgraded hardware, faster processors, an all new keyboard, and a new multifunctional toolbar across the top of the keyboard called Touch Bar which includes Touch ID capabilities. The Touch Bar is perhaps the most intriguing new feature. Resting atop the keyboard in place of where the Function keys would typically sit, the Touch Bar is a small touch screen which changes and adjusts according to what apps are in use. Pricing starts at $1,799.00 for the 13″ model and $2,399 for the 15″ model, with various customizations adding onto the base prices. Those interested in the new MacBook Pro can pre-order the Mac today, and it will ship within the next two to three weeks. Those interested in learning more or ordering a new MacBook Pro can do so at the official Apple website here. whats up with the bezel? its 2016. Dell can do it with out it! It’s useful for a hand-held such as a a tablet, this is clearly not, though you do touch the screen when opening/closing it. It also helps with visibility if sitting against a light source. Bezels are also useful for putting stuff behind. The cam and wifi antenna are generally sited behind the bezel. What is this?!?! What was this stupid Apple event ever?!? All about a keyboard, a TV app and.. nothing else?!?! Where are the Mac Mini upgrades, the new Mac Pros?!?! Apple abandoned the Mac, they are signaling for everyone to move on. Get an iPad and consume some content, there is no productivity or work machine anymore. You now have a little touch bar on your keyboard replacing keys, because no particular reason. The keynote couldn’t answer why Touch Bar was better than onscreen menus and real function keys, just that it was there. This new extra expensive “Pro” machine is a $2700 MacBook (up to $4400!) which requires a $20 dongle just to connect to the new iPhone 7 that I just bought a few weeks ago. And another dongle to connect to HDMI. And another series of dongles to connect to the five other normal USB accessories I have and use on a daily basis. No more Magsafe, you’d need a dongle for that too. It’s the DongleBook Pro. The DongleBook Pro Courage Edition Plus. Honestly the last updated MacBook Pro from 2013 is probably a better Pro machine. The Mac Mini is dead. The Mac Pro is dead. The iMac is not even half as technically interesting as the Surface Desktop just announced by Microsoft. The current Apple leadership is killing the Mac and telling all the pro users, students, artists, and every other core Mac user to take a hike. Disappointing, the most compelling reason to upgrade was to get a 32GB RAM MacBook Pro 15″. But that was not the Mac that came on stage. This is a bigger MacBook Air, not a Pro. Still 16Gb, and now need a pocket of dongles to use everything including connecting an iPhone to a Mac. What on Earth are they thinking. 32GB RAM was the most disappointing omission of a disappointing presentation. No new Mini, iMac, nor Pro. All that cash and they choose to sit rather then innovate. Apple is imploding. If the Touchbar is so cool, why wasn’t a keyboard with Touchbar offered for the desktop computers. Let’s not forget Apple’s maniacal hatred of legacy technology like the venerable and benevolent MagSafe. But wait, the new and most technologically advanced notebook every designed has, gasp, a 3.5 mm jack. Tim Cook and team have lost their minds. I decided not to purchase the 2016 MacBook Pro. Get back to work, Cook. No Touch Screen only 16GB max RAM, Space Grey or Silver what about Black ? Those prices are YIKES! The Apple tax is getting pretty extreme. Apple seems to be following the cable model. Can’t sell more, then charge more. Microsoft is the real winner today. I think I’m on my last MacBook. Sad but this is looking true! I know an entire startup office who watched the keynote today and then went to a Microsoft store to check out the new Surface Studio and Surface Book! Apple is driving people away from the Mac! And not even a 32GB of RAM option??? For the huge new price tags? What the?? Microsoft is now way ahead of the game. Apple is uninterested. Never, as long as I have to run Windows. Ugh. Apple delivered their Pro customers an Emoji scrolling touch bar that sits on the top of a laptop, replacing the ESC key for what exactly? Pro? PRO?? What Tim Cook has done to Apple and loyal patrons is PROfane. With Steve Jobs there was always an expectation of the next great thing, with Tim Cook is always what is he going to f-up next time. Never mind the FUD, this is a worthwhile upgrade for the MacBook Pro, particularly for those who aren’t on a 12-month upgrade cycle. While it would have been nice to see something to match the new Microsoft Surface Studio (sorry – what was that about an Apple tax?) an alternative will probably be in the works at some stage. Good luck transferring your photo’s from your camera… no SD card port! Apple should provide a free bag to carry the adapters/dongles that are needed for basic connectivity. I have a MacBook Air 13 inch Mid2013 and was thinking of upgrading. I see no reason to do so now. I use the SD card port as well as the USB ports for storage of smaller files quite a bit. I do not use any of the high-powered applications demonstrated by Apple. I see nothing in the touch bar that entices me to upgrade. I am not the least bit interested in the Siri feature on my computer. It would be annoying to my neighbours. do anything that couldn’t be done on the previous models. are upgrading, I for one , will keep using my 2013 MBP that does everything I want it to do and has an SD port. additional stuff you have to buy to make it all work. So disappointed by Apple! I’m so unhappy with the high price and the fact Apple is pushing everyone to buy several chords or adapters if you still want to charge your iPhone or iPad (Apple): how much is going to cost to get a new Macbook Pro, adapters included? I’m not ready to change everything for a touch bar. Why are they eliminating the MagSafe?! And the SD card reader?! What about adapters for the external peripherals I have? Apple: don’t you have enough money?! I used to love Apple , not lately. Right. I want a strip of emojis but no HDMI port, just a lot of Thunderbolts (compatible with USB-3. Swell.) This is the Mac Book Pro remade for the idiot set, who don’t have anything like a use for a professional laptop. Apple is steadily retooling every device for a market that did not grow up with their computers and has no history with them. And, apparently, no future. Stupid cannot be fixed and ALL of this “new” is. And Apple showed us that this is indeed true. Tim is no leader! There is need for another rebrand of Apple. Innovate, create something new. Give the user what thy are looking for! And not sure if Mr Ive woked on this, but if they did work on this, I have to ask… What the **** are you doing? Lost your touch? Where is the glory? Where is the bold steps taken? Where are the “we are doing that no one else does” attitude? You are following in the steps of Acer and HP! Nothing new to see here, but made a huge fuss about it! Shame on you Apple! SHAME ON YOU! The new Apple “bold steps” for Mac are removing ports and removing keys and charging you a fortune for less. It’s the older i7 CPU too. I guess I will buy an old mid 2015 15″ MBP. Me again , I agree with Francois , Tim Cook is not a leader nor an innovator, of course he doesn’t have to be an innovator,he can hire them, obviously he hasn’t. Perhaps Mr. Cook has very little interest in innovation , evidenced by the long absence of an updated MacbookPro and when it finally came , it was disappointing as evidenced by the above replies. Since Snow Leopard it seems every app has been downgraded and every update on every new OS has been catering to Social Media and iOS. Now after years of waiting for the a new MBP we are given some silly touch bar with emoji’s. Max 16gb memory what a insult! Does anyone know if the i7 offered is the Gen 6 or 7? Gen 6. Not like Gen 7 in the new Microsoft gear. Thank you so much Apple. Seriously, Gen 6 in a Brand new updated $2,800 MBP – UNBELIEVABLE – SOD OFF Tim Cook! Still using Snow Leopard on a daily basis. The only things that were worth anything beyond Snow Leopard is the full screen button and Gatekeeper. Everything else is just garbage. Apple has no idea what they are doing anymore. -Displayport 1.2, seriously, at least 1.3! This pro is made for pro programmers, who use VIM on daily bases, where the ESC-Key is the most important key. Oh… and I was hoping for an Apple branded external monitor. NOPE! I do web design and since they took away the 17″ MBP, I have been on the 15″ and would SOOOOO love a quality Apple monitor. The Pro is not made for pro programmers, it like every Apple product since Steve left, it’s made for Jony Ives. If Jony wants emoji we get them if Jony doesn’t use the ESC key we lose it. Jony doesn’t use SD cards, and Jony likes Thunderbolt and that’s all Jony needs. Right, but Jony is working for apple since early 90’s as far i know, so what is wrong with him or apple? This MBPro is a real Joke !!! For 2 700 you got a more powerfull laptop in DEL with the new the AlienWare & more the On-SITE Assitance suport INLUDED, where Apple leave you alone with the poor APPLE CARE…. Well, the message from Apple to his customers is clear…. New IMac is the Microsoft Surface Desktop…. & it’s a 25 Years Apple user talking ! So how do I connect my brand new $900 iPhone to the $4000 macbook? You can buy yet another $30 dongle adapter. No wonder many above are carrying dongles around with them everywhere. I would have bought the highest end Macbook pro, but the lack of ports I need is a deal-breaker. It’s time to fire the Apple marketing heads making these bad decisions. The emoji bar is cute, but does make the applications run any faster? And how can you launch a new Pro line without benchmarks? 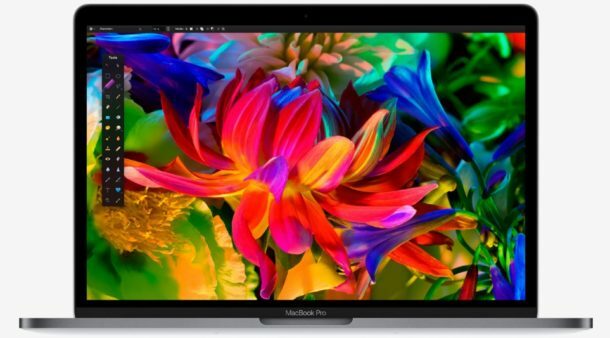 Our old mbp laptops are long in the tooth and we are left to guess if these higher priced replacements are any faster on the Applications that matter to us. Apple keeps legacy 3.5 mm jack but eliminates MagSafe. ironic? I say idiotic. I agree with the comments here. The touch-bar is cute, but that’s where it stops for me. I’ve been over the new Retina Macbook’s because they are not upgradeable, and the price tags started sky-rocketing. Imagine if you bought a Mercedes C-class and you couldn’t pop the hood to work on the engine and replace the spark plugs or alternator. Totally nuts!! I was hoping this event would signal a move in the right direction. I was completely wrong. This new MBP is a total dongle-ganger! Like everyone else has said, I’ll need a separate backpack and spend hundreds of $ to buy all of the dongles, DVD Drive, Externals drive, and cables required to perform the tasks I perform today on my upgraded 1TB 8GB mid-2010 MBP totally self contained with the new MBP spending $3400 or more. That just doesn’t make sense. I should get MORE functionality instead of less. If I wanted to do some work at Panera over lunch it would take half my lunch hour to get out all of my dongles and peripherals at a table for 4. I love MacOS over any version of Windows by far, but Apple’s direction on the Mac will totally kill the product line and the OS if continued — just on the pricing issues alone. Who can afford it?? I think I buy a mid-2012 on eBay and max it out. That should last me a couple of years. Maybe someone at Apple will wake up in the meantime. I have the mid-2012, and I’m not interested in upgrading until the MBP offers 32GB. I am rarely on battery. And if Apple were truly innovative, then we’d be able to turn off 16 of the 32GB if on battery. Who did Apple design this for? It’s a MacBook Air, it is not a MacBook Pro. This is about as Pro as the iPad Pro, which is to say not at all. I have been waiting since 2014 for a MacBook Pro 15″ update that was more powerful, skylake or kabylake CPU, 32GB RAM, 1TB SSD, etc. I am a pro user. Then Apple delivers this. I am just dismayed and shocked. There is no Pro computer on their lineup anymore, you can buy three and four year old hardware that is just as powerful and more versatile because it has ports and expansion opportunities. Why is there no 32GB RAM option on a PRO computer? Why are there no pro ports on a PRO computer? Why are you removing pro keys on a PRO computer? I have been an Apple customer for over 25 years, this is more depressing of an outlook than when they were releasing dozens of Performa machines left and right. At least back then they were powerful for the day, as competitive as they could be. Now… you spend a fortune and get an unbelievably limited Mac. I’m just shocked. I will use my old MacBook Pro for as long as I can, I don’t want a desk full of dongles and adapters and a crappy keyboard with no escape key and the same kind of touch bar that was introduced on Windows laptops to replace FN keys over a decade ago and long since abandoned since the ergonomics are bad and the lack of feedback meant you had to look at the keys to use them. Apple has lost their way. Why is the touchbar better than having real keys that we can use without looking at the keyboard? It’s not. We have a huge trackpad for input, a keyboard for input, and now a stupid touchbar for input? Why is the enormous trackpad better? It’s not. Why is the low travel keyboard better? That’s going to be an arthritis generator. Apple can’t answer questions as to why these are better, because they are not. I was initially disappointed and figured I would sleep on it, maybe it would pass. But the more I learn and read, the worse it is. Vote with your wallet. No more iPhones. Unless their iPhone sales start tanking, all of this will continue. It’s the only product they care about, but they’re ruining that too with removing ports there as well. Just hard to believe this is where Apple has gone. Boycott Apple until the board forces Tim Cook to resign or just fire the twerp. As a late 2013 Mac Pro owner, I think it’s safe to say that it will be my first and my last Mac. I’ve worked professional workstations for years and I jumped ship finally from Linux and you left me at a dead end. The lack of an escape key is very challenging for any pro user. I don’t know who this Mac is for but I went from wanting a new Mac to not wanting one after seeing these. Also the software escape key on the Touch bar is so offset that it appears where the F1 key is… who thought that was a good idea? Only Apple. Dongles. Apple is going to be the worlds largest Dongle company in no time. Whats with apple removing ports and calling that innovative, if I got the latest MacBook Pro I would need multiple adapters that don’t come with the device which is using 6th gen intel cpu not 7th. When Steve jobs returned there were innovative products/better products then what the market had and powerful OS that was years ahead of M$, now everyone has caught up and apple havent brought much to the table. To me this is also a sign that all tech has peaked and waiting for the next big thing. Well, i think all the Mac User ( & other ppl ) of the planet laugh a lot with this announce Plus other one’s who are very disapointed and angry as well & it’s fully normal ! 2/ After S.JOBS Gone….Tim Cook Begin to input HIS new point of view, where interest & profit are more important than all other points, where ShareHolders are more Important then Customers…. TO resume : Is less time & Money & Staff consuming to dev an Iphone or an Ipad than a MAC. or to continue to Upgrade an existing Line of Products. The fact is clear today & the message Apple launch to his customers is also fully clear, more clear when you look at the price of the Full Option MabBook PRO 15′ = 5 000 $ !! If you follow APPLE today you are Crazy or damned ! of Stupid Fan Boy…..
Apple make his choice today, continue to put all his efforts on the Idevices & that’s all…. Iphones, Ipad…. Even the Monitor ! they are not able to update the 27′ !! That mean in MAX 2/3 YEARS = NO MORE MAC’S IN APPLE ! Only Idevices…..Big Iphones, BIG IPADS & Accesories for them…. If no more Mac, that mean also no more MAC OS & by the way, no more APP for Mac…etc…. If it is not clear for you….then… ! If you feel ofensed or unSatisfied…. ===> BOYCOTT APPLE ! I have a early 2011 MacbookPro. Upgraded to 16GB ram and sad drive. Why would I by a new MacBook ? I already have it. What not true I have useful ports.